The promised sun did not break through and it was cold and dreary for the December run or dreach as the Scots say. But this did not deter the 19 hardy runners. Matt Rowe and Jeremy Barber battled for the lead but lost heart when Mark Curtis swept past at high speed at around 4K and went on to be first by well over a minute. Well done! So Mark was our Most Improved Man. The Most Improved Woman was Sandra Doney and Frankie Arnold was our Rising Star. As well as the usual trophies they were presented with Christmas gifts. Afterwards we were revived with mince pies and mulled wine. Thanks very much to Sam Arnold for taking photos, to Maggie Barber for refreshments, the Wearn family for putting out the signs and Rob Bryan for collecting them, Maggie and Joanna Roebuck for marshalling and to the Cricket Club for the lovely venue. Our next race is on Sunday 8 January starting at the usual time of 10am at the Cricket Ground. So if your New Year Resolution is to get leaner and fitter please come along. Everyone is welcome especially volunteers to help (running is not essential). If you'd like to run it is a handicap race so people of all abilities have a chance to win. 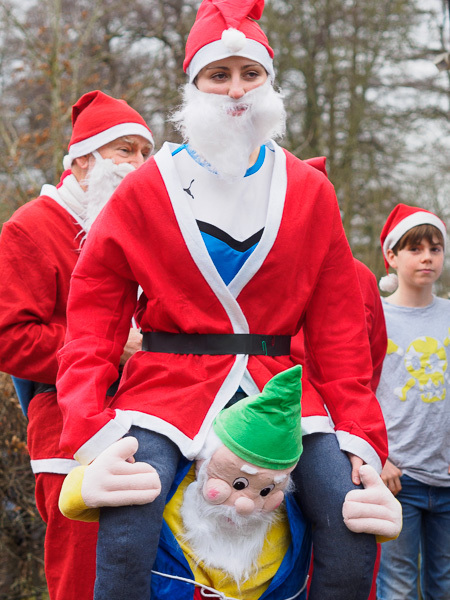 On Boxing Day we have the Santa Dash starting at 11am at the school. Santas of all ages, shapes, species and sizes will be dashing (at varying speeds!) to The Cricketers. There will be prizes for the best dressed Santas (or elves or puddings....) and for the best dressed pet. Longparish Mummers will continue the tradition of performing on Boxing Day. They will perform their 20-minute traditional folk play in The Cricketers car park at 11.30am. 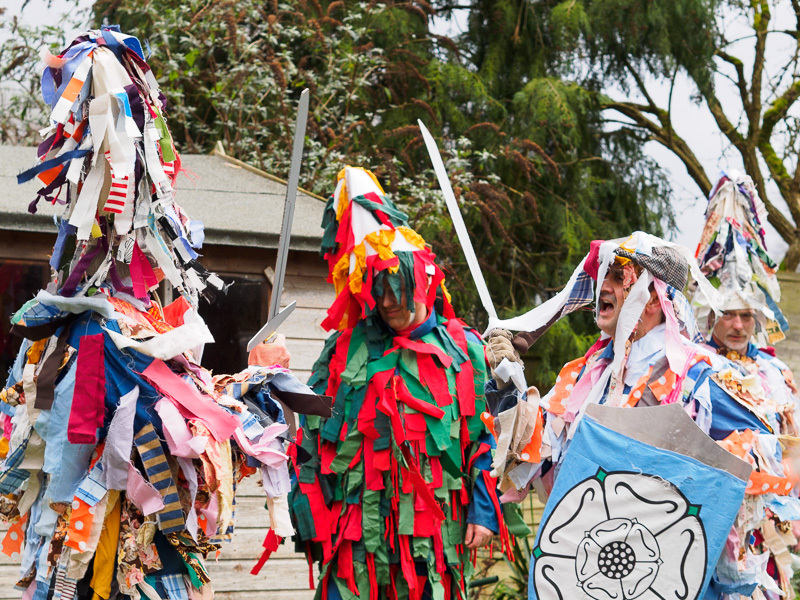 There are wonderful costumes and lots of action with a great battle between King George and the Yorkish Knight. There will be a collection in aid of Mityana and the Andover Food Bank. The Boxing Day Barbie at the Cricketers is new this year. Forget the cold turkey. Kevin will be serving hot dogs, bacon rolls and burgers. Just what you need for a tasty lunch or a late Boxing Day breakfast for that matter.